Working the front lines of patient care. 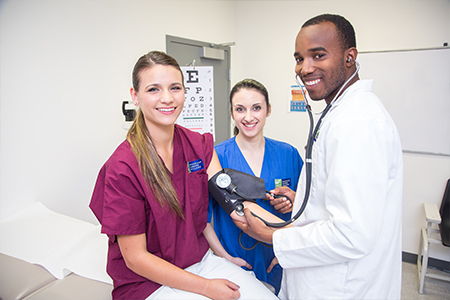 The Medical Assistant program is divided into eight class course modules plus a 144-hour clinical externship where students will apply the skills they learn in the classroom in an actual health care practice setting. After successful completion of the Medical Assistant program, the graduate will be qualified to work in doctors' offices, general medical clinics or urgent care clinics. The student will be able to perform the duties required for examinations, use diagnostic equipment, perform laboratory duties, and function in all phases of the business office, including having a working knowledge of data input on the computer. 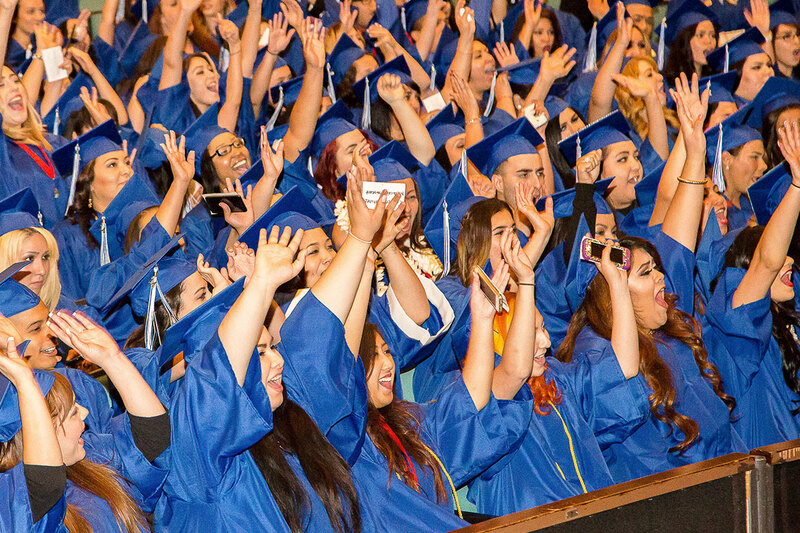 Graduates will be qualified to accept entry-level or middle-level positions. Medical Office Administration – This course will introduce students to the basic procedures of the daily management of a medical office. Activities and simulation exercises related to practice management are provided throughout the course. Topics covered include telephone techniques; appointment scheduling; word processing projects including resumes and cover letters; insurance claims processing; constructing and managing patient records; medical office management software; and basic keyboarding. Outside preparation and study time, in addition to regular classroom activities, is required to complete the class assignments. The type of outside preparation may take the form of homework assignments, projects, reading, and required studying. Anatomy & Physiology A – This course will focus on the respiratory and circulatory systems. 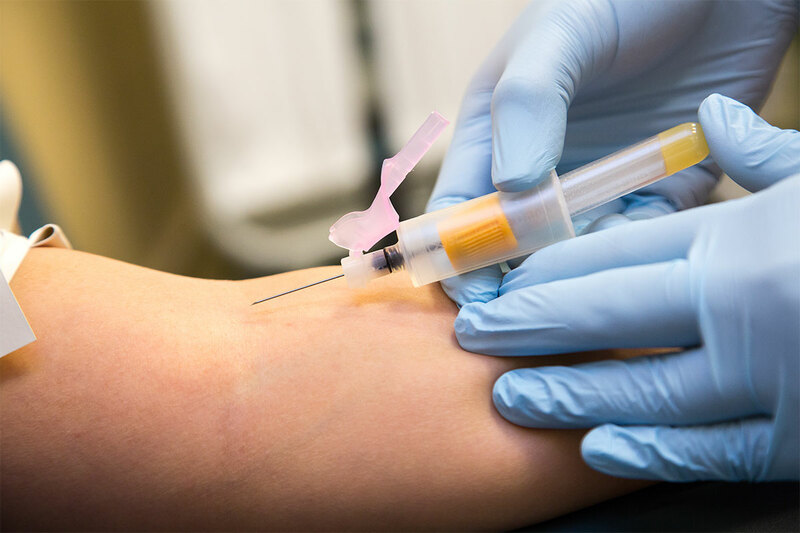 Students will learn a variety of patient-care skills such as Venipuncture, ECG testing, and specialty exams. Students will practice skills introduced in this course through laboratory exercises. Outside preparation and study time, in addition to regular classroom activities, is required to complete the class assignments. The type of outside preparation may take the form of homework assignments, projects, reading, and required studying. Anatomy & Physiology B – This course will focus on the lymphatic, immune, digestive, urinary and nervous systems. Students will learn related laboratory skills such as urinalysis and microscope use. Students will practice skills introduced in this course through laboratory exercises. Outside preparation and study time, in addition to regular classroom activities, is required to complete the class assignments. The type of outside preparation may take the form of homework assignments, projects, reading, and required studying. Anatomy & Physiology C – This course introduces the student to the male and female reproductive systems, and the endocrine, integumentary, sensory, and muscular and skeletal systems. Students will practice skills introduced in this course through laboratory exercises. Outside preparation and study time, in addition to regular classroom activities, is required to complete the class assignments. The type of outside preparation may take the form of homework assignments, projects, reading, and required studying. Medical Assisting Skills – This course introduces students to basic pharmacology and dosage calculation. Students will assist with medications, injections, and minor surgical procedures. The introduction of related practical skills such as surgical instruments and tray sets, medical asepsis, and sterile gloving are included in the course. This course covers behaviors influencing health, stress reduction, time management skills, and introduces alternative related therapies. Students will practice skills introduced in this course through laboratory exercises. Outside preparation and study time, in addition to regular classroom activities, is required to complete the class assignments. The type of outside preparation may take the form of homework assignments, projects, reading, and required studying. Medical Assisting Skills and Response Training – This course introduces the students to office emergencies and first aid techniques. Basic Life Support training for the health care provider gives students the opportunity to become CPR certified. Students will practice skills introduced in this course through laboratory exercises. Students will discuss beginning their job search. Outside preparation and study time, in addition to regular classroom activities, is required to complete the class assignments. The type of outside preparation may take the form of homework assignments, projects, reading, and required studying. 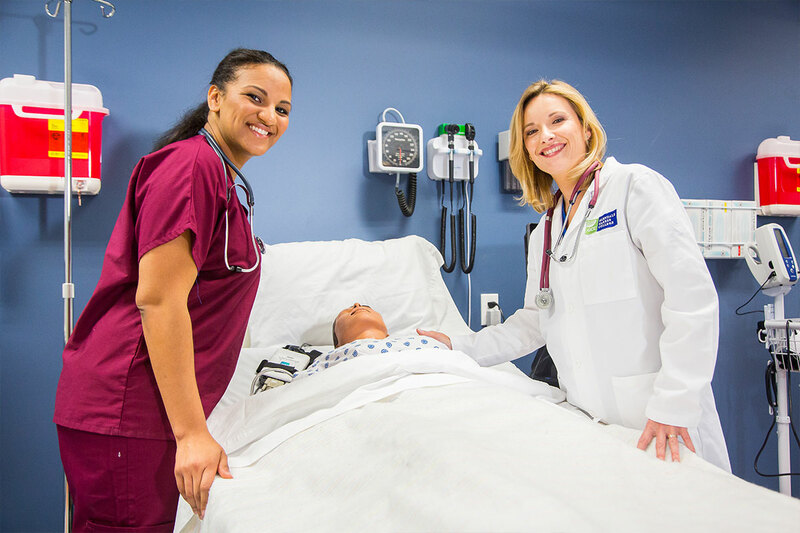 Clinical Externship – Upon successful completion of classroom training, medical assisting students will participate in a supervised 160-hour externship experience in medical setting. This course is a requirement for graduation.